The D-Link Vigilance DCS-4602EV is a 2 Megapixel Full HD Day & Night Outdoor Dome IP Camera featuring a compact form factor, integrated IR LEDs and 3D noise reduction. 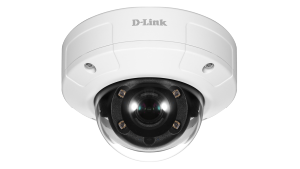 The D-Link Vigilance DCS-4633EV is a 3 Megapixel H.265 Full HD Day & Night Outdoor Dome IP Camera featuring a compact form factor, integrated IR LEDs and 3D noise reduction. 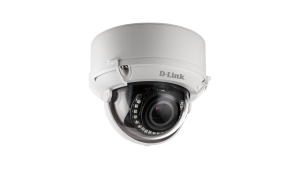 The D-Link DCS-6517 is a 5 Megapixel H.265 Outdoor Dome Network Camera is designed for capturing extra detail in areas such license plates, faces and currency. 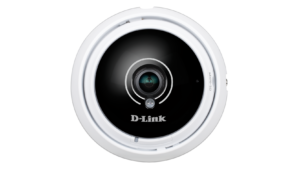 The D-Link Vigilance 360 Full HD PoE Network Camera is a Full HD fisheye surveillance solution with either 180 or 360 degree viewing modes, 2-way audio, microSD card slot on board, and 25 ft. night vision. 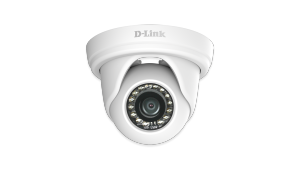 The D-Link Vigilance DCS-4703E is a Full HD Outdoor PoE Mini Bullet Camera featuring a 3 Megapixel sensor, compact form factor, integrated IR LEDs, and 3D noise reduction. 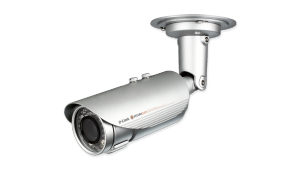 The D-Link DCS-7513 Full HD WDR Day & Night Outdoor Bullet Camera is a high-definition professional surveillance and security solution suitable for small, medium, and large enterprises. The camera uses a high-sensitivity Sony 2 megapixel WDR sensor to deliver superior quality video at up to 60 FPS under a wide range of lighting conditions. IR LEDs with Smart Detection and Auto-Adjustment allow up to 90 ft. of night vision range. The all-in-one rugged design makes this camera ideal for reliable deployment in surveillance applications without the need for accessories. 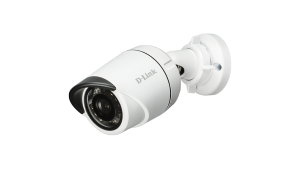 The D-Link Vigilance DCS-4603 is a 3 Megapixel Full HD Day & Night PoE Dome IP Camera featuring a compact form factor, integrated IR LEDs, wide dynamic range and 3D noise reduction. The D-Link Vigilance DCS-4802E is a 2 Megapixel Full HD Day & Night Outdoor Dome IP Camera featuring a compact form factor, integrated IR LEDs and 3D noise reduction. 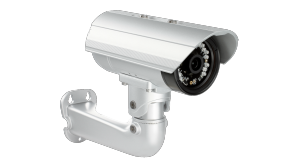 The D-Link Vigilance DCS-4701E is an HD Day & Night Outdoor Mini Bullet Network Camera featuring a compact form factor, integrated IR LEDs and 3D noise reduction. 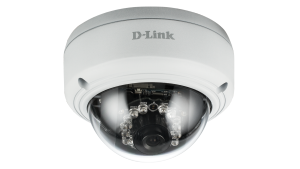 The D-Link DCS-7517 is a 5 Megapixel High Definition Day & Night Outdoor Bullet IP Camera designed for capturing extra detail in areas such license plates, faces and currency.